Social media is here to stay – most everyone uses either Facebook, Instagram, Twitter, or one of the other platforms, and many people use multiple forms on a daily basis. We use social media to stay in touch with friends and family, celebrate important milestones, and even share the seemingly insignificant but entertaining aspects of our day. We even use it to share our struggles and misfortunes when we need a sympathetic ear. In fact, social media has become so ingrained in our daily lives that we share our daily stories without much thought. “Oversharing” can be annoying or embarrassing, but in the context of a personal injury case, it can do irreparable damage to your chances of success. 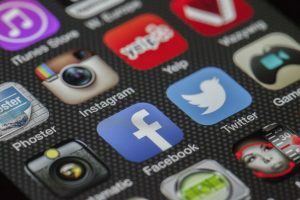 In this post, we’re going to share some suggestions to help keep your social media accounts out of your personal injury case. Privacy is the hot topic when it comes to social media. We worry about who has access to our personal information, our pictures, our interests, and our status updates. While it seems like it would be easy, social media companies are constantly changing how they protect your information. As a result, users have to remain vigilant to make sure their social media profiles aren’t viewable by the general public. If you have an active personal injury account, you want to make sure your profile is set to “private” and only your friends can see the information you post. Defense attorneys have gotten very savvy at searching the internet to find damaging information that they can use to undermine your case. The urge to vent your frustration or anxiety to the world can be hard to contain, but you really want to keep it off of social media as much as possible. In the heat of the moment, you may post something that could damage your case – a statement like “so glad I’m not injured” or “I think I was partially at fault” can have serious repercussions. If you don’t want your friends and family to worry, try to keep it to something like, “You may have heard I was in a car accident. I’m taking it day by day, but I wanted to let you all know I’m at home. Feel free to call if you want to chat!” The more you say, the more likely you may say something you will regret. You also need to be mindful of breaching the attorney-client privilege. Do not, under any circumstances, discuss the legal aspects of your case. If you have to post something, limit it to something like. “My trial is coming up in a month and I’m really nervous. Thoughts and prayers appreciated!” Do not discuss any details of your case. Social media is a great platform for sharing your pictures. However, we all know that the photo is just a snapshot of a moment in time, and can give people the wrong impression. If you’re claiming that you have suffered a serious injury that has limited your day-to-day activities, posting numerous pictures that make it look like you are living life to the fullest could harm your case. The bottom line is that anything you post on social media can be taken out of context and used against you in your personal injury case. Stay on top of your privacy settings to make sure that your profile can’t be accessed by the general public. And even then, be very careful about what you post. Slappey & Sadd have been helping personal injury victims in the Atlanta area and across the state of Georgia since 1992. We not only help our clients get the compensation they deserve, but we help them manage the whole process – social media included – to make their case as strong as possible. If you would like a free consultation, contact us today – call us at 404-255-6677 or email us via our online contact form.